You ever just get the erge to jump on Koopa and break bricks to find gold coins? 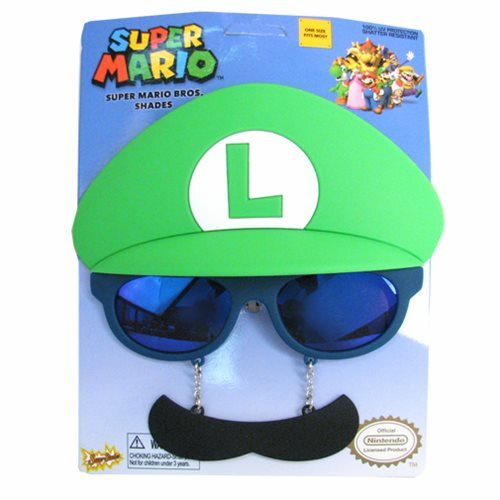 Well now you can do it in style with these Super Mario Bros. Luigi Mustache Sun-Staches! One size fits most and all Sun-Staches provide 100% UV400 protection. Measures approximately 6 3/4-inches wide by 5-inches tall. Ages 14 and up.